a. Literal comprehension: reading in order to understand, remember, or recall the information explicitly contained in a passage. c. Critical or evaluative comprehension: reading in order to compare information in a passage with the reader’s own knowledge and values. 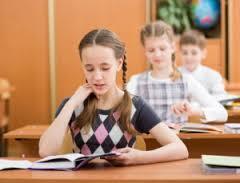 d. Appreciative comprehension: reading in order to gain an emotional or other kind of valued response from a passage. Pettit. N. T. and Cockriel. I. W. (1974: 64) the majority of studies have found reading comprehension to be composed of two broad categories: Literal comprehension, inferential comprehension. Literal reading refers to ideas and fact directly started or the printed page. Literal reading is the skill of getting the primary direct literal meaning of sentence in context the basic of literal comprehension are recognizing state ideas details, effect and sequence. The basic of literal comprehension are recognizing is fundamental to all reading skill at any levels because a reader must first understand what the author said. Interpretive reading is means read between the lines or making inferences. It is the process of deriving ideas that are implied rather than directly stated. This level demands higher level of thinking ability because the question in the category of interpretation are concerned with answer that are not directly stated in the text but are suggested or implied where the students make connections among individuals’ states ideas, make inferences, draw conclusion, read between the lines to get inferences, or implied meaning from the text. Belum ada tanggapan untuk "Level of Reading Comprehension"